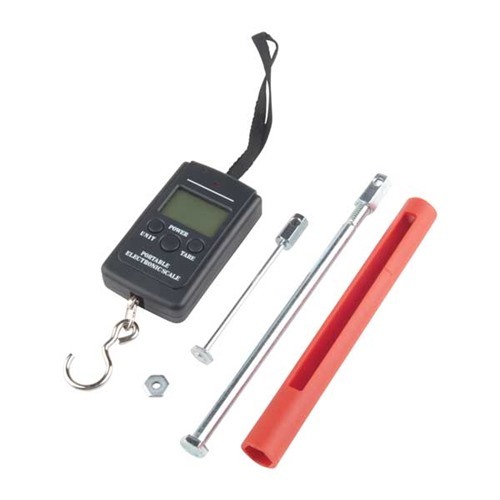 Recoil spring tester is a simple testing device that helps you quickly measure the compression strength of any Government-length 1911 recoil spring. Lets you easily check if your gun’s spring is getting weak, and you can identify the weight of any unmarked springs you may have lying around. No more worries about damaging the gun with a weak spring or accidentally installing a soft spring when you want to shoot +P ammunition. 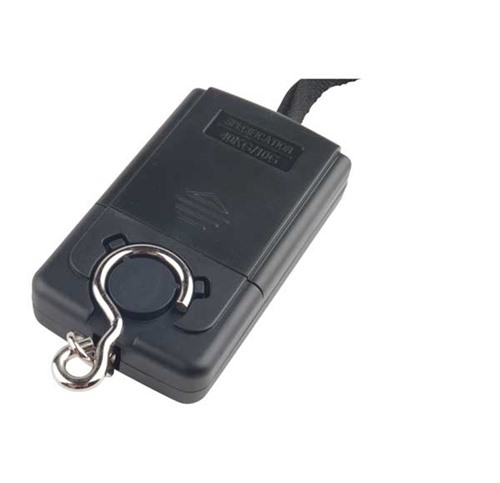 Recoil spring tester is compact enough to take to the range; fits easily in tool box or shooting bag. SPECS: Hard polymer with steel components. Instructions included. Measures springs up to 26 lbs. spring weight. 2 AAA batteries which are required, are not included. Rekyl våren tester er en enkel testing enheten som hjelper deg raskt måler komprimering styrke alle regjeringen lengde 1911 Returfjæren. Lar deg enkelt kontrollere hvis våpenet ditt våren blir svak, og du kan identifisere vekten av alle umerkede kilder du har liggende rundt. Ingen flere bekymringer om skade pistolen med en svak våren eller uhell installere et mykt våren når du vil skyte + P ammunisjon. Rekyl våren tester er kompakt nok til å ta til området; passer lett i verktøykassa eller skyting bag. Spesifikasjoner: Hard polymer med stålkomponenter. Instruksjoner inkludert. Tiltak kilder til 26 lbs. våren vekt. 2 AAA-batterier som kreves, er ikke inkludert. Tester is only good to measure gov't model recoil spring tensions. There is only 1 witness mark to show 1.625" compression on the tube. Per Wolf Springs, spring commpression needs to be a mark at 1.625" for gov't models, another at 1.125" for commanders, and another at .700" for O.M. I called the manufacturer and explained the problems. This may explain better what I'm talking about. This was a great help in sorting out my springs. When I needed to test main springs I determined the proper compressed length and put a piece of tape on the barrel using the 1.625 line as a reference. Worked Great. I even tested some Govt. Recoil springs that were brand new and they tested within 1/2 lb. of where they were supposed to be. I do understand that this is not a super precision spring checker and if a person needs that kind of accuracy then a high dollar spring tool can be purchased from an industrial supply house. However, they are very pricey and usually run more that the cost of a new gun. I tested all my 1911 recoil springs, including spares, and all of the springs for my friend's 1911s in about two hours, including disassembly and reassembly. Easy to use, repeatable, and you can read spring compression within a tenth of a pound. I would recommend this product for its intended use ... Government-length recoil springs. Easy to use and to determine the length to be measure for each pistol. I checked different kind of recoil springs and systematically had a difference of approximately two to three pounds (less) when compared with supposedly Wolff calibrated springs or manufacture calibrated springs. IÂ´ll check (and/or change) the scale. Produsentnr. : 11490SRD Rekyl våren tester er en enkel testing enheten som hjelper deg raskt måler komprimering styrke alle regjeringen lengde 1911 Returfjæren. Lar deg enkelt kontrollere hvis våpenet ditt våren blir svak, og du kan identifisere vekten av alle umerkede kilder du har liggende rundt. Ingen flere bekymringer om skade pistolen med en svak våren eller uhell installere et mykt våren når du vil skyte + P ammunisjon. Rekyl våren tester er kompakt nok til å ta til området; passer lett i verktøykassa eller skyting bag.